The Oregon coast is home to a variety of unusual and intriguing points of interest. 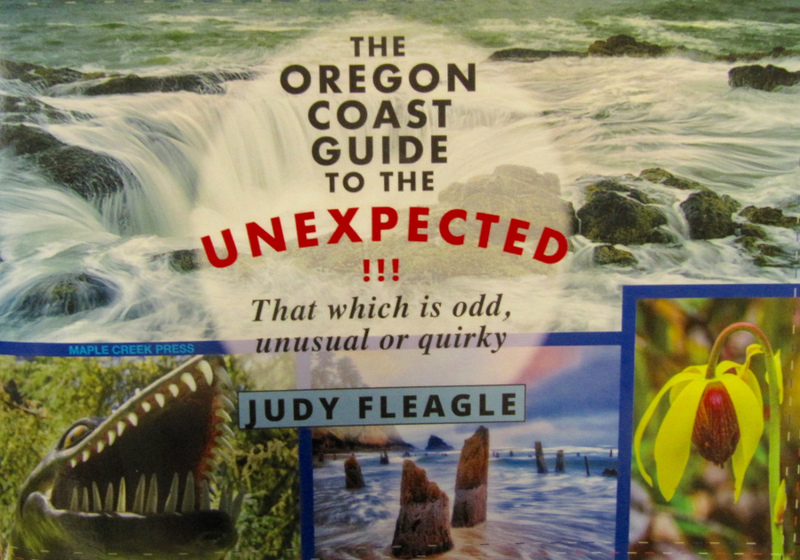 Judy Fleagle, author of Oregon Coast Guide to the Unexpected !!! That Which is Odd, Unusual or Quirky, will discuss some of the interesting Oregon coast locations that are featured in her latest book. Along with exploring how she came to pick these locales, Fleagle will go over her writing process and the steps involved in bringing her book together. Judy Fleagle is an author and freelance writer from Florence, Oregon. In addition to working as an editor/staff writer for Oregon Coast and Northwest Travel magazines for several years, she is the author of four other books, including Crossings: McCullough's Coastal Bridges and The Crossings Guide to Oregon's Coastal Spans.